The heart chakra is located near the centre of the breastbone or sternum. 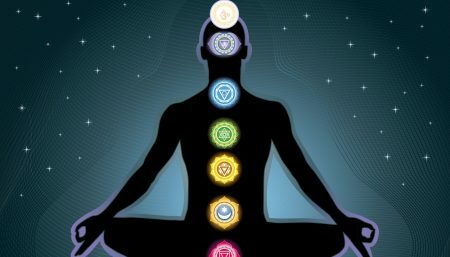 The physical organs and parts of the body linked to this chakra are characterized by their actions of expansion and contraction, drawing in an pushing away. The heart, with its rhythmic expansion and contraction, in the powerful muscular pump that sends oxygenated blood to all parts of the body. By its movement, the diaphragm, the powerful muscle below the lungs, creates changes in pressure, allowing us to breathe in fresh air. As the diaphragm contracts, the outbreath expels carbon dioxide from the body. The lungs are composed of tree-like air ducts that bring air into contact with the bloodstream. The blood picks up oxygen from the air, releasing back into it carbon dioxide and other waste products as it returns from its journey through the body. These processes of expansion, interchange and contraction are reflected in our relationship with the world. The heart chakra regulates our interaction, making sure that we become neither too involved nor too remote from the world around us. The relationship is in constant motion: if it stays stationary all balance is lost. Reaching out and physically touching helps us to gather information. As we gather information we respond and begin to relate. The action of the arms can be one of enfolding, enclosing, embracing and absorption. Equally, the arms can defend, push away and protect. The degree to which we keep the physical balance between what is outside us and our inner being is often reflected in the way we hold our upper torso and arms. Tension and rigidity suggest stasis and defensiveness. A relaxed stance and flowing movement not only shows ease with the world, it reduces the stress levels on the heart and lungs. This posture extends the muscles and cavities of the chest and stretches and arms. If your hands do not meet at first, ease into the pose by holding a 25-30cm/10-12in length of cane or wood. Lift your chest and firm your shoulders blades against your lower back for stability. 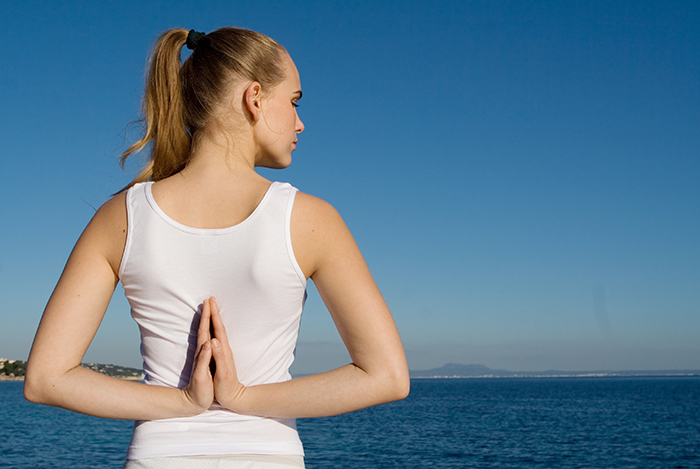 As a beginner, breathe steady and deep 4-6 times while holding posture. Then, release your arms, uncross your legs, and repeat Gomukhasana with the left knee on top and left elbow pointing down. Awaken to the power of unconditional love within you through compassion, forgiveness, and acceptance. Press the top of your feet to the floor and avoid your feet cycling inward. Set your feet and shins parallel to each other. If your knees slide out you will jam your sacrum. Slide the buttock muscles down away from your low back. This can be done manually as you go back into the pose. When entering, it is initially important to go upward. Imagine that you are like a high-jumper going over a bar. Don’t hit the bar with your trunk by going straight back.Press your thighs forward, away from your feet. Externally rotate your arms and draw your collarbones away from one another.Lift your sternum and side chest as much as possible, creating the characteristic dome shape of the chest. Release slowly and relax. This gentle backbend opens your chest, helping you to feel the receptiveness associated with the heart chakra. Rotate your thighs inward. Place your elbows next to your shoulders and your forearms parallel to each other. On an inhale, keep lengthening through your tailbone as you lift your head and torso off the floor. Lightly draw your belly away from the floor, rounding it toward your lower back. Stay for five to 10 breaths, then release. Repeat one to two more times if you like. This arching pose helps to soften and release tense muscles in the neck and back that keep you from letting your heart open. Start on your hands and knees with your hands under your shoulders and your knees under your hips. Gently lift your back into an arch and release your gaze downward. This deep backbend opens the intercostals muscles between the ribs, creating more physical space in your heart center. Begin on your back with your knees bent and your feet on the floor. If you are experienced in the pose, you can bring your legs into Padmanasana (Lotus Pose). Either way, inhale, lift your hips slight and place your hands, palms down, under your hips. Lower your pelvis onto your hands. Inhale and press into your elbows and forearms to lift your upper back and gently place the crown of your head on the floor. Be careful not to let your head take too much weight. Remain in the pose for 15 to 30 seconds before releasing and hugging your knees into your chest. Last but not the least, regular practice of nasal breating can help to open up the heart chakra. 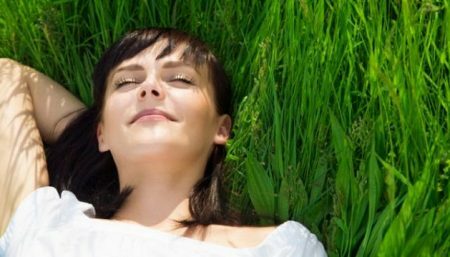 This breathing exercise calms and cools, allowing you to be more open in your heart. Begin in Sukhasana (Easy Pose) or Padmanasana (Lotus Pose). Close your right nostril with your right thumb. Inhale through the left nostril for three Oms. Then use the little finger of your right hand to close your left nostril. Hold your breath for six Oms. Then release your right thumb and exhale for six Oms. Repeat on the other side. Note that the heart chakra is a bridge between the body and the spirit.